From Tom Urtis of Atlas Programming Management, Inc. we have a full page of Lookup Tutorials including VLOOKUP, HLOOKUP, Reverse LOOKUP, Min/Max LOOKUP and more. Thank you to Tom for creating this resource and allowing VLOOKUP WEEK 2012 to share it here – with all of you! “When you are faced with a table that is scattered with values among empty cells, you might need to know the first (left-most) or last (right-most) value in that row. =INDEX(D2:H2,MATCH(TRUE,INDEX((D2:H2<>0),0),0)), copied down as needed.” …To Read More Click Here to go to Tom Urtis’s Lesson. While tidying up the storeroom for the VLOOKUP WEEK Blog… we came across a few things – this is one. “I recently posted this example, followed by this more advanced example for finding an intersecting value in a table with multiple rows and columns. 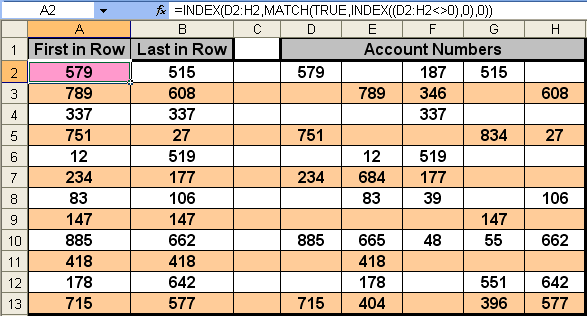 Today it’s the opposite scenario, where you identify a value in the table and you lookup the value’s row header, column header, and while we’re at it, the address of the value. 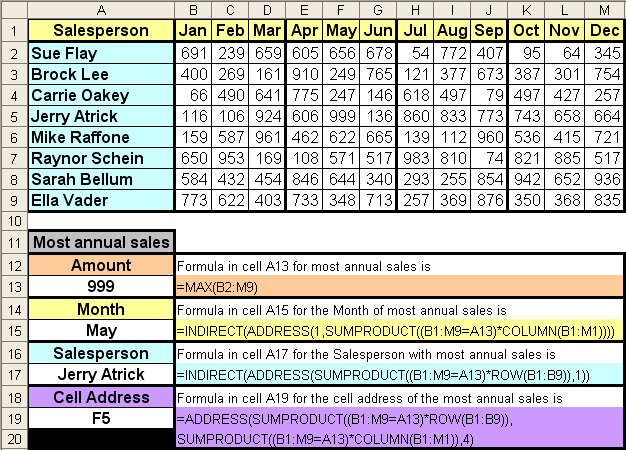 In the picture, the maximum number is identified, with its address, and header labels for Month and Salesperson.” …To Read More Click Here to go to Tom Urtis’s Lesson.